How Can Direct Debit be Improved? Has Road Tax Moving to Direct Debit Given Consumer Confidence a Boost? Our virtual terminal delivers a fast and reliable omnichannel solution for you to see all your customer payments, whichever channel they were made through, enabling you to better understand your customer trends and spends. You might have different acquirers for debit and credit card payments, and are juggling multiple support contracts and supplier relationships. Whether your customers are paying online, in app, by phone, or face to face, our virtual platform connects to a comprehensive list of acquirers, alternative payment methods and ecommerce connectors, removing the complexity with one integrated point of contact. Payment data is the gold dust of business analysis. We understand the importance of effectively reporting on customer spending to inform your marketing, purchase decisions and corporate processes. We share many of the same concerns you do. Facilitating credit and debit card payments requires us to meet standards, both ethical and legal, and we take our responsibilities seriously. Our systems and infrastructure prioritise security at every level, both digital and physical, and we operate secured, ring-fenced client accounts. All data is stored on servers only in UK, with backup systems in a different location to prevent any kind of failure, breach or damage affecting your debit and credit card collections. We also have precautions at our premises to prevent any security breaches. Intruder detection and prevention systems have been installed, including CCTV, and nobody can enter our offices without a photo ID. We also operate a clear desk policy to completely close the loop on any kind of physical breach.  We are FCA-regulated and subject to the Bacs Approved Bureau Scheme, so we undergo a regular inspection process to ensure we meet all professional standards set out by the government and official industry bodies. A key feature of our solution is resilient high availability, so, should a service fail, an alternate service instance will take over. Our infrastructure will scale automatically (within bounds) to deal with peaks in customer demand, and our service uptime SLA is minimum 99.99%. We are an independent gateway and Acquirer agnostic, meaning whichever bank you are with and whichever payment processor your customer is using, we are able to handle the transaction across our limitless network. No two businesses are exactly alike, and we pride ourselves in tailoring our systems and to work in the best possible way for your company. Unlike our competitors, we encourage personal contact and enjoy discussing your situation by phone so you get the most out of our customer service. Do I need to change my business hardware at scale? Yes, if you want to make best use of the omnichannel reporting suite, as your terminals need to interact with the software. If not, you can use your existing handsets or source from an alternative. How do you protect against fraud? We have a comprehensive fraud monitoring system and card-blocking technologies to ensure the strictest precautions are in place for all transactions through your accounts. Our software can also integrate with third-party fraud prevention solutions to augment your system for greater peace of mind. Can you handle international payments? Yes, we have the ability to process international payments in all world currencies that the Merchant Acquirer will allow, enabling you to trade worldwide. However, there may be some country-blocking measures in place to protect against fraud. What is your SLA around uptime? Our service uptime SLA is minimum 99.99%, soon to be rising to 99.999% (a possible maximum downtime of 0.438 minutes per month!). 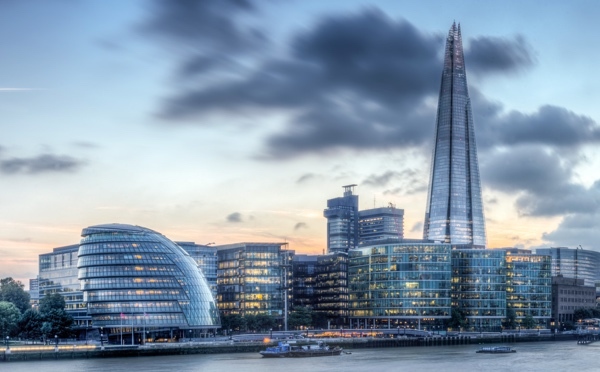 London & Zurich support businesses across a number of sectors. Find out how we transformed our clients’ payment collections and cash flow. Learn how we help your systems interface with our platform. Apply today to get the ball rolling and find the best payment solution for your business. London & Zurich are here to help, switch to us today. We take our responsibility of our client's security very seriously, and make it our top priority. Sign up to London & Zurich to receive updates. You can unsubscribe at any point.